All across the country some 155,000 NP’s give physicals, stitch wounds, prescribe drugs and manage chronic illnesses. They do almost everything that a primary care physician does. These Nurse Practitioners are playing an increasingly important role as the pool of primary care doctors shrinks. Many practices are in partnership with a physician, but several states allow NP’s to treat patients independently. According to recent research, nurse-practitioners have decreased the cost per patient visit by as much as one-third, due to the fact that NPs are paid less than physicians and they typically order fewer tests and don’t have as many return visits due to correct care. Patients also give them good reviews for spending more time with them, according to a 2011 report in Medscape Medical News. As an example, a four-NP team at FamilyCare of Kent, Washington, tends to only 16-20 patients a day. Originally printed in the June 2013 AARP The Magazine. 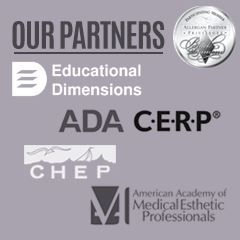 I have completed 3 courses with this company and have been pleased with the level of professionalism, the instructors, course content, & my confidence to Institute the procedures in my medical spa. I attended two of the courses in Scottsdale & the PDO Thread Lift course recently in Ft. Lauderdale.